When the Beatles’ album Abbey Road was released in the US on October 1, 1969, Jim got a copy and immediately found songs that spoke to him and that would make great material for his characters. It’s no surprise that the album’s fanciful, friendly track “Octopus’s Garden” would capture his attention and inspire several Muppet versions over the years. Fun and somewhat silly, the song celebrates imagination and the possibility of entering other worlds in a light and jaunty way. 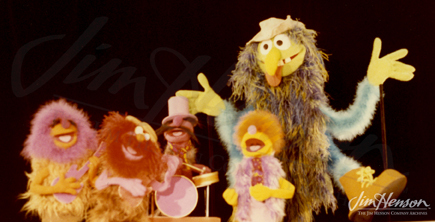 Jim first performed the song for the debut season of Sesame Street in late 1969. His scuba-diving character frolicked with Muppet sea creatures and, seemingly, with real fish, and used it as an opportunity to count up to 8. For Ed Sullivan, however, there was no need to include an educational message. The piece taped on February 23, 1970 to air as part of the March 1st show was pure entertainment. 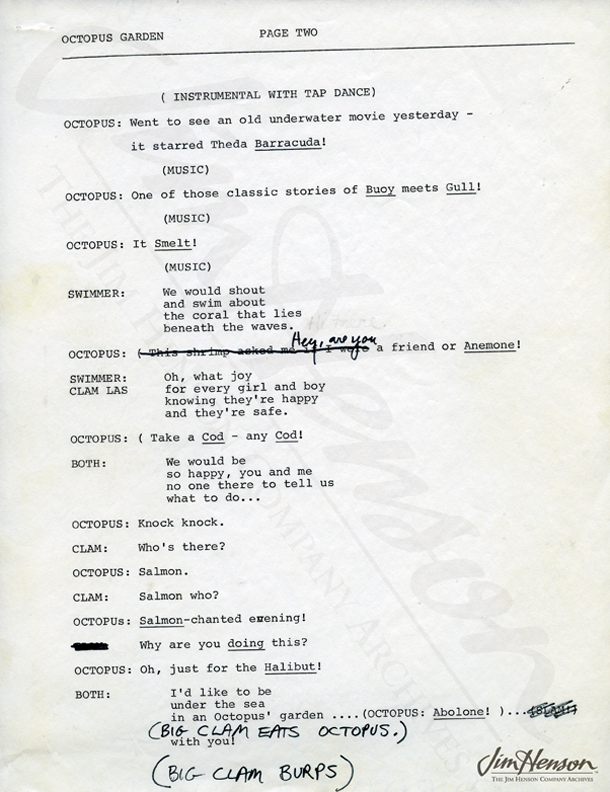 As Jim’s swimmer and a clam sang the lyrics written by Ringo Starr, the smart-mouthed Octopus (performed by Frank Oz) made every awful undersea pun possible – and he did it on porpoise! 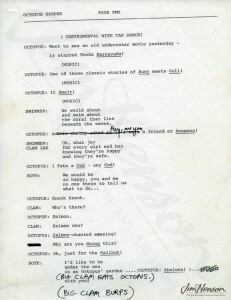 The bit ended in a typical Muppet way – the pun-making Octopus deservedly got eaten by a giant clam. 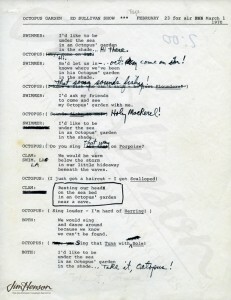 Just about six weeks later, Jim used another track from Abbey Road on The Ed Sullivan Show – “Come Together”. This, too, was a song with a sense of humor, and Jim was clearly tickled by the original words and visual possibilities. 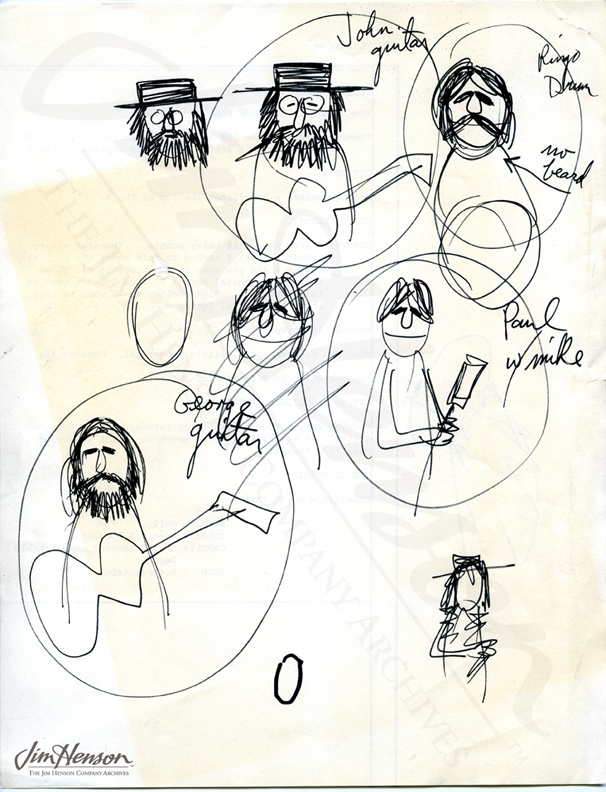 Jim’s passion for inventive language (seen in his appreciation for Lewis Carroll’s writing) made him recognize the potential for making John Lennon’s seemingly nonsensical words come to life. 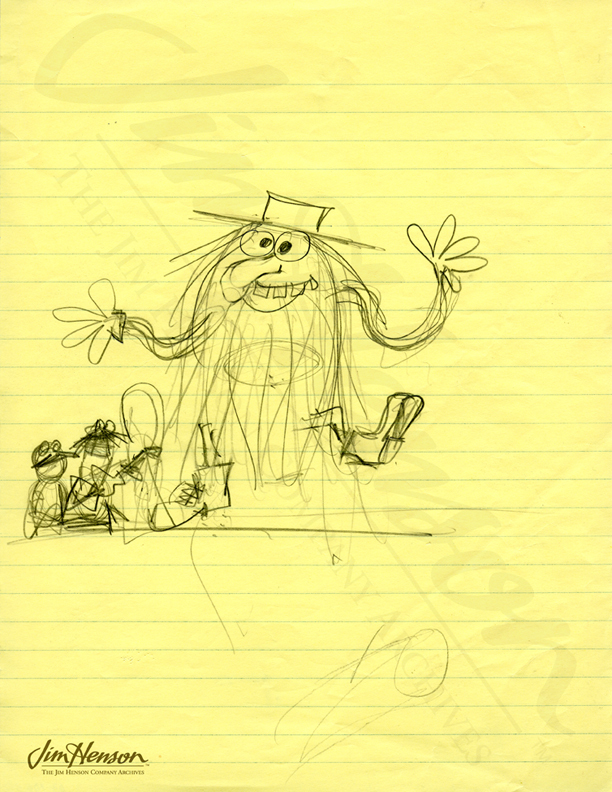 Not looking for a deeper meaning, Jim drew up his ideas for what the main guy, dubbed Flattop, and a Beatles-like band would look like. They sang about coming together, and, at the same time, Flattop fell to pieces. Once again, simply doing the opposite of what’s expected proved to be very funny. Jim clearly enjoyed doing these bits, especially “Octopus’s Garden”, and did a third version of it on The Muppet Show with Miss Piggy as a comely mermaid. While he played it for laughs, the invitation to enjoy another world courtesy of a creative mind was part of the attraction for Jim. In some ways, it reminds us of the more wistful Sesame Street songs, “Imagination” by Joe Raposo and Jeff Moss’s “I Don’t Want To Live On The Moon” that Jim sang as his character Ernie. 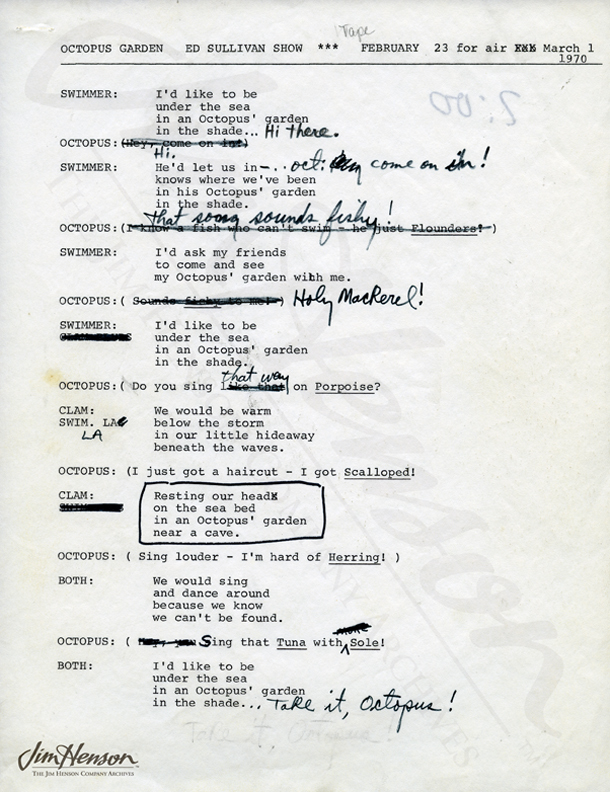 Script for the “Octopus’s Garden” bit on The Ed Sullivan Show with Jim’s annotations. Jim’s designs for “Come Together” on The Ed Sullivan Show. The “Come Together” puppets on The Ed Sullivan Show. For more information about another Ed Sullivan Show appearance, see entry for January 17, 1971. This entry was posted in 02-February '70, 1970, Appearances and tagged Abby Road, Beatles, Ed Sullivan Show, Ernie, Flattop, Miss Piggy. Bookmark the permalink.